With respect to the introduction of measures to be applied to the voluntarily surrendering servicemen of the Ukrainian Armed Forces. All the commanders and the fighters of the forces of the DPR Militia not to open fire on groups or individual servicemen of the Ukrainian Armed Forces that have raised a white flag or signified their intention to surrender in another manner. After disarmament and inspection to ensure that they carry no weapons, such persons are to be permitted through the battle ranks of the Militia and concentrated in special collection points for further transportation to the deep rear under guard. Those persons are to be assigned the status of POW [Prisoners of War]. In accordance with the Geneva Conventions “Rules of Conducting Warfare”, and the additional protocols thereto, such persons shall be provided with such nutrition and medical assistance as may be required. 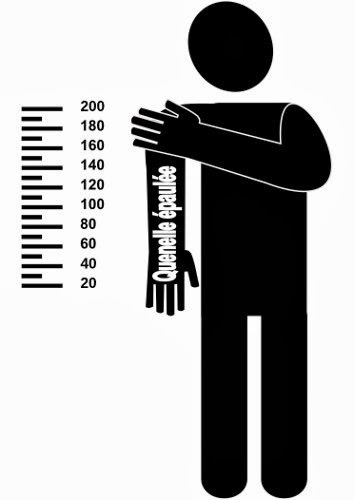 The use of executions, torture and humiliation in relation to them is prohibited. Any contravention of this part is considered to be a military offense and shall be punishable in accordance with the Laws of Wartime. to be sent to the territory of Russia as a temporarily interned person (an option – as a refugee). In Shakhtersk, the battles are continuing at this time (00:55 MSK), there is shelling, artillery strikes are being conducted also against Gorlovka, and Gorlovka was also hit with an airstrike today. So far, there is little information from the locations of battles. In Donetsk, high tensions persist; in the second half of the day the Junta conducted strikes using Uragan MLRS from Elenovka. Battles occurred in the area of the airport; in the evening, a column of smoke was rising above it. Ukies continue to block the work of the OSCE monitors and are preventing them from travelling to the site of the crash of the Malaysian Boeing. While on the Lugansk front its has been relatively quiet (without taking into account the constant artillery shelling in the course of the night), then the night on the Donetsk front is expected to be far from calm. And for the nightcap, for better sleep – our forces shot down a Su aircraft over Antratsit. And so we hope that, despite everything, the night in Donetsk will be calmer than the last several days. Our “ghosts” are again at work. After the withdrawal of the units from the closing ring of encirclement, among the personnel of the battalion and of separate units of the Militia certain measures were taken aimed at reforming our troops and changing the tactics and the performance quality of the operations aimed at eliminating the forces of the enemy. July 26th – Through the joint efforts of the mortar crews of our battalion and the artillery of the Cossack hundred, an area of enemy fortifications near Pervomaisk was destroyed. With respect to Komissarovka – one tank, 3 BMPs and 1 Ural truck were destroyed. Overall, the enemy suffered manpower losses of over 100 men. Our losses constitute 2 lightly wounded, who have refused to leave their positions. 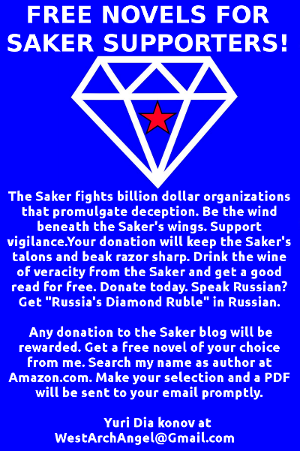 It is July 27-28, and the battle for Shakhtersk continues. Fighting continued all night and, as of 10:00 on July 28 was still ongoing. In the 8th district there is no telephone service or electricity; the battles are being fought in the area of the 12th and the 15th mines. The militiamen are spread out around the city and are firing at the enemy; the strikes are being conducted using tanks and automatic rifles. On July 27, a maneuverable armoured group of the enemy attacked the city of Shakhtersk in the deep rear of the DPR army. Heavy clashes began on the outskirts of the city. While the miner units of the DPR army were repelling the attack, the staff of the Militia urgently sent reinforcements from the side of Krasniy Luch and from other directions toward Torez and, from there, to Shakhtersk. The city was entered by tanks, BMPs, Grad MLRS, trucks, minivans, and light vehicles transporting fighters of the DPR Army. Among them was one of Igor Strelkov’s main assault units – the special purpose, spetsnaz Battalion “Kalmius”. Having dispersed, they entered into battle with the Kiev occupation forces. Civil defence sirens were sounded in Shakhtersk, and several mobile communication providers ceased operations. The streets emptied. There was heavy fighting on the outskirts of the city; powerful blasts from artillery and tank fire could be heard. There were also the sounds of automatic weapons. In Shakhtersk, there are fierce street battles between the Militia and the Nazi-guard. Columns of armoured vehicles were moving from various sides on the outskirts of the city; eyewitness told us that lots hardware had passed through Stashovka. A particularly heavy battle occurred in the area of the Militia’s positions near the 20th mine, as a result of which several houses burned down and enemy hardware was destroyed. At the turn toward Torez, on the outskirts of Zhuravlyovka, there were intense tank battles, and short bursts of automatic weapons’ fire sounded constantly. Some time following the arrival of the reinforcements, the enemy started to retreat. As a result of the battle at the DPR positions near the 20th mine, the Ukrainian armoured vehicles that remained operational retreated, together with the infrantry, toward Ol’khovchik. Have sustained manpower and military hardware losses, the enemy was expecting fire to come from any private housing. National Guard would aim their weapons at every fence. Ukrainian flags were taken off their armoured vehicles and hidden. Having gained a foothold in Ol’chovchik, near Polevaya Street, the Junta soldiers started to dig trenches near the forest plantation not far from the 15th mine. In the morning of July 28, he clashes continued. 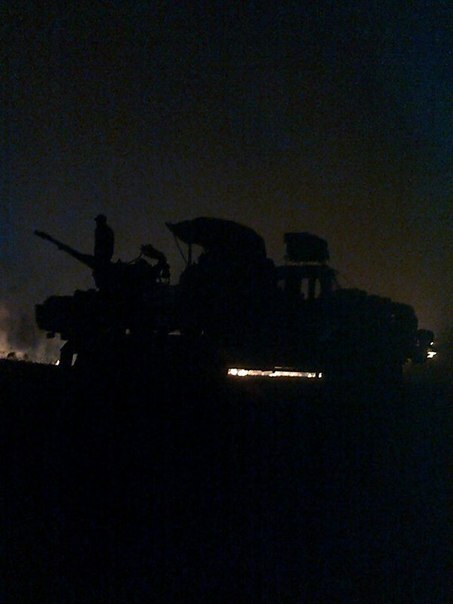 At approximately 02:00 (MSK), a new battle commenced near Rassypnaya, the fire is coming from tanks and automatic weapons. The decisive moments of the battle for Donbass have arrived. Recall that Shakhtersk is located on the second line of communications between Lugansk and Donetsk, and its loss could have catastrophic consequences for the defenders of Novorossiya. The decisive minutes of the battle for Donbass have arrived. The essence of what is happening is that the Ukrainian military has begun a long-planned operation involving simultaneous strikes on converging directions from the south and from the north, bypassing Donetsk, in order to create a large Donetsk cauldron. From the south they are attacking the Shakhtersk-Torez area. From the north they are attacking Gorlovka and Debaltsevo. Diversionary attacks are being made on Pervomaisk and Donetsk. The goal is to cut off the lines of communications and to close the ring of encirclement in Enakievo. This is the very scenario that Igor Strelkov had warned us about. And it is precisely this tactic that explains the sacrifice of the punitive forces in the Southern Cauldron. Dying as cannon fodder, the hundreds of conscripts nevertheless distract the forces of the Militia. As they are usually wont to do, the Ukrainian side has already reported about a fantastically successful operation. 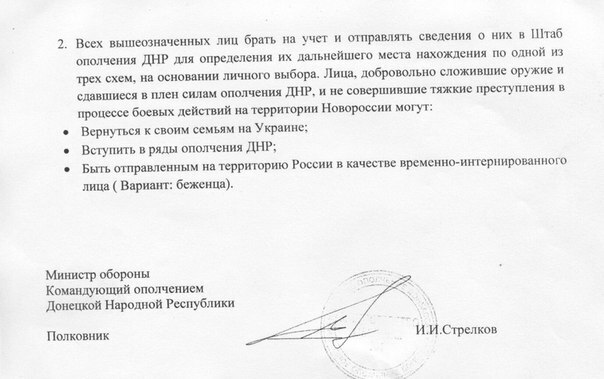 According to their statements, Shakhtersk has already been taken and purged of militiamen. Allegedly, they are simultaneously attacking Debaltsevo, Torez, and Snezhnoye, and hoisting their flags everywhere, all the while moving around mechanized columns and hordes of tanks. There was an airstrike on Shakhtersk; enemy aircraft are in the air over the city. Ground attack jets appeared over Shakhtersk. The Militia met them with MANPADS fire; however, the aircraft were able to escape being hit by deploying heat traps. After then, one of the ground attack craft conducted an airstrike presumably in the area of the 20th mine. 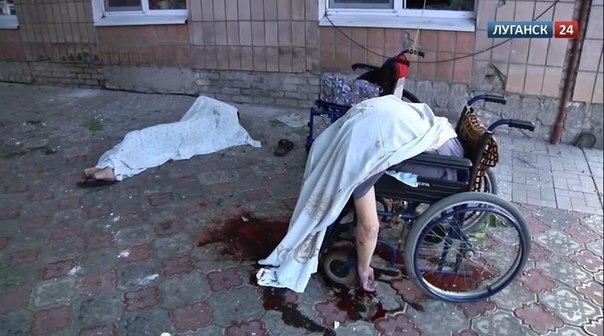 In Donetsk, following a night of shelling, there are again casualties among the civilians. Once again there again was fighting in Donetsk in the night of July 27-28. Explosions and shooting could be heard in all aread of the city. The private housing sector of the Kuybyshevskiy district, within the perimeter formed by the Stratonavtov, Marshala Zhukova, and Artyomovskaya streets, became the epicenter of the artillery shelling. Private housing was completely destroyed at the following addresses: 64 Kovalko St., 69 Gradostroiteley St., 19 Velichkina St. As well, in the garage cooperative “Zenit”, located at 3 Shakhterskaya Slava St., 7 metallic garages were destroyed. Apart from that, electrical lines and the gas pipeline were damaged. As a result of the fighting that occurred at night, 8 civilians were harmed, of whom 3 were mortally wounded. As of 09:30, explosions again can be heard in the city. This is being reported by the residents of the Proletarskiy and the Budennovskiy districts. Today in Donetsk, communal services and emergency crews are working. Public transport appeared on the city motorways. Over the past day, fierce battles have been continuing in the area of Dmitrovka. This is being reported by the special correspondent of the Committee for Social Communication (KCK). The DPR Army has withdrawn to the neighbouring Pavlovka; the forces of the sides are unequal. The militiamen were forced to retreat under massive mortar fire. A group of 20 reconnaissance volunteers stayed behind in Dmitrovka. At this moment, there is no communications with them. According to operational information, the Ukrainian military units under the command of the Praviy Sector leader, Dmitriy Yarosh, are digging in near Dmitrovka and Marinovka. According to the direct participants of the battles, if they are stopped, the border with the Russian Federation will be under DPR control, and, therefore, it is advisable not to retreat, but to prepare a massive attack. The enemy was attempting to advance in order to cut off the Militia, and it was partially successful because the offensive was large-scale in nature. However, despite the overwhelming forces of the enemy, the Militia was able to repel the attack. To the east of Shakhtersk the enemy sustained colossal losses. Last night, another attempt by the punitive forces to break through in the vicinity of the Lugansk airport was registered. It was repelled. Those that could returned to the airport. The fighting continues – at 09:40 (MSK), a skirmish was ongoing in the area of Rassypnoye (near Torez). In Shakhtersk, skirmishes are also continuing; there was a battle in the area of the 7th and the 8th districts of Shakhtersk. Fighting also continues on the outskirts of Snezhnoye. In the area of the Saur-Mogila, a heavy battle was occurring. By the way, DPR reinforcements have arrived in Torez. Everything also is in order in Snezhnoye, so the danger to Saur-Mogila has been neutralized. In Pervomaisk, the punitive forces have entered onto the territory of the city (in the area of the school near the Novaya road). The situation in the occupied territories is of interest. We received information that yesterday, at approximately 23:00, a checkpoint of the Nazi-scum in the vicinity of the Golubiye Lakes (near Seversk) was shelled using ATGM or RPG, following which Ukies pummeled the forest from the mountain using Grad missiles. 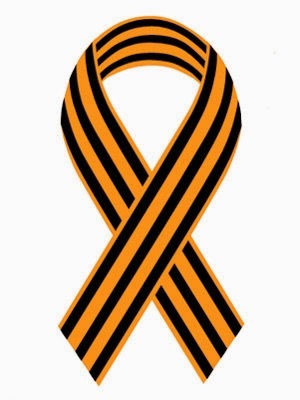 11:31 (MSK) – With respect to Shakhtersk, we were informed that 2 Ukies Su aircraft tried to bomb the city, but were chased away with MANPADS salvos. With respect to Donetsk – the city is not surrounded. You will laugh, but the Ukrainian command has no idea what positions their soldiers occupy or in what condition their units are. For example, yesterday 2 Ukies tanks stopped near the Yasinovatovskiy overpass in Donetsk. They stayed there several hours until the locals (who emerged from the cellars) asked them: “What is it that you are doing here, in the rear of the DPR troops?” (and at the same time ripped off everything that they could from the tanks). Following this, Ukies quickly faded away, running before they could get into trouble. And this happens where things are more or less in order. As for what is happening in the “intestine” – this the Ukie command finds out from the relatives that get calls from the besieged troops. For instance, the flight of the 75 Nikolayevka paratroopers was a complete surprise for the ATO staff. Same with yesterday’s gang fight in the city of Shchastye between the Alpha unit and the mercenary Battalion Aidar (with the eventual participation of paratroopers from the 80th Brigade). At this moment, there is no clear line of front, and, as we can see, settlements easily pass from one side to another. The main outcome was yet another failed Ukie offensive that was intended to de-blocaked the units surrounded in the “intestine”. They threw their last reserves into battle, and, by the looks of it, have now exhausted their offensive potential until the commencement of the third wave of mobilization. Small local victories have had no bearing on the overall operational situation. The Ukrainian army has not taken the Saur-Mogila height; fighting is continuing. Earlier, the press service of the Ukrainian President Pyotr Poroshenko disseminated information suggesting that the strategically important point came under control of the Ukrainian military. The Ukrainian forces were unable to take control of the Saur-Mogila height near the city of Snezhnoye (DPR), where the Militia of the DPR has been holding positions since the beginning of July. 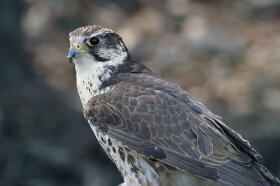 This information was provided to LifeNews by the coordinator of the information centre “South-Eastern Front”, Konstantin Knyrik. According to his information, militiamen informed that fighting continues in the area of the strategic height and of the neighbouring villages Marinovka and Dmitrovka, and that there can be no talk about surrendering Saur-Mogila. On July 27, the enemy undertook serious attempts at an offensive – significant forces were pulled up to the sites of the breakthroughs, and, in certain areas, they had success. However, the troops of the DPR Armed Forces were able to thwart all the undertaken attempts. In particular, the attempted breakthrough by a large grouping of the Ukrainian forces to the east of Shakhtersk led to the grouping suffering simply colossal losses. Whereas before such losses could be promptly calculated, now, even as of the morning of July 28, we are still unable conclusively to determine how many of the servicemen of the Ukrainian army found their death on the field of battle. Fighting in the Shakhtersk area continues. Today in Donetsk, communal services and emergency crews are working. Public transport appeared on the city motorways. Donetsk has not been surrounded. Over the past day, fierce battles have been continuing in the Dmitrovka area. The DPR Army has withdrawn to the neighbouring Pavlovka; the forces of the sides are unequal. The militiamen were forced to retreat under massive mortar fire. A group of 20 reconnaissance volunteers stayed behind in Dmitrovka. At this moment, there is no communications with them. In Pervomaisk, the punitive forces have entered onto the territory of the city (in the area of the school near the Novaya road). The fighting continues. Today, the fiercest clashes with the enemy on the outskirts of Lugansk occurred in the area of the Georgievka settlement. Units of the LPR were able to take control of the dominant height at the road junction, while the enemy occupied positions closer to the settlement itself. Throughout last night, in the morning, and throught the day, units of the DPR conducted targeted shelling of the enemy’s positions in the places of the greatest concentration of enemy forces. In particular, Lugansk forces inflicted serious losses on the aggressor in the Georgievka area, as well as near the settlement of Cheluskinets. Yesterday night the Ukrainian side launched two reconnaissance drones into the skies over the city, and today at midday, an aircraft of the Ukrainian Air Force conducted an airstrike on the settlement of Novosvetlovka (Krasnodon region). The Ukrainian Armed Forces continued the shelling of Slavyansk, and, in particular, mines and shells (presumably from a Tulpan heavy mortar and a self-propelled artillery unit) hit in the areas of Rudnev Street, School No. 35, and Shcherbakov Street. Movement of a large tank column toward Krasnoe-Perezvanovka was noted; units of the LPR were brought into the state of heightened battle alert. Yesterday, in the vicinity of the settlement of Depreradovka, LPR units inflicted serious losses on enemy forces; 1 tank, 2 BTRs and 15 fighters of the Ukrainian army were eliminated. I hope to God that I am mistaken. The video crew of the press service is rushing over to Kambrod. Residents called us – a shell hit a nursing home. Initial information: 5 were killed and UNKNOWN NUMBER were wounded. The hospitals are waiting. Can you imagine the difference between treating wounded who are 30-40 years old and wounded elderly, who are 60-70 years old?! 18:55 – The Gorlovka Diocesan Administration came under artillery fire by the Ukrainian punitive forces – corpses of the killed are killed lying on the surrounding streets; church buildings were damaged. 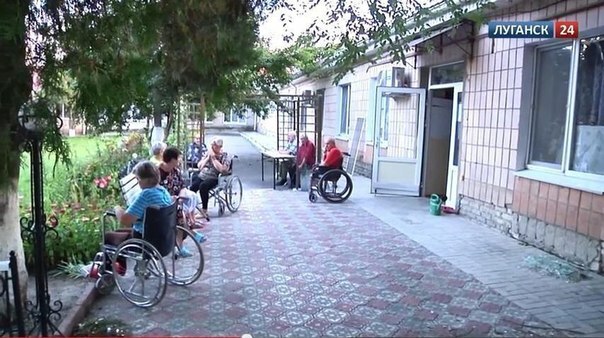 18:54 – Ukraining military bombed a nursing home on the Geologicheskaya Street. This is the Shcherbakov district in the south-eastern part of Lugansk. Five elderly were killed. There is an unknown number of wounded. 18:50 – Information from the DPR Press Centre: during the day, street battles were ongoing between the Militia and the Ukrainian punitive forces. The city essentially has been divided into two zones of control. The city continues to be subjected to airstrikes and artillery shelling by the Ukrainian army. Cluster ammunition, MLRS and howitzers are being used. 18:44 – Over the past week, every morning (around 04:00 am) 3 MI-24 and 1 MI-8 helicopters have been taking off from the Kramatorsk airfield, flying through Semyonovka in the southern direction. They return having, by the looks of it, exhausted their ammunition. 18:20 – Two refueling trucks and 1 BTR with several infantry atop the armour came through Glinki, headed toward Kumachevo. 18:19 – The Ukrainian Air Force conducted a rocket-bomb strike at the Lugansk Cartridge Works, also known as the Lenin plant. - who now controls Debaltsevo and Enakievo? Prokhorov: I will tell you right away – I don’t have a full picture of what is happening in the DPR; I only have a fragmentary understanding. Yesterday, Debaltsevo was surrendered by the costumed Cossacks – without battle. 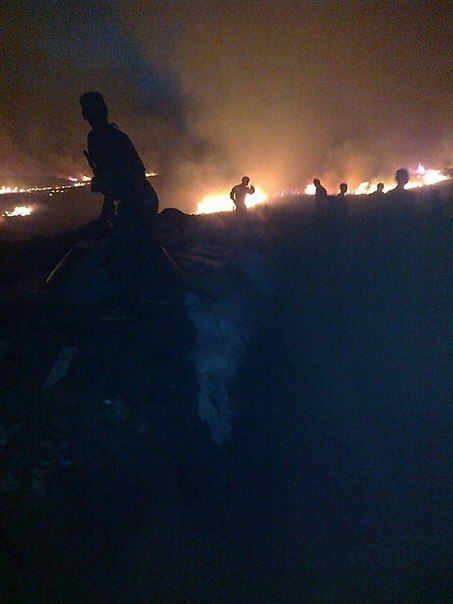 Ukies destroyed the local House of Culture and the railway workers’ hospital, where wounded were recovering. Reinforcements were sent there, and they are the ones maintaining the resistance in the city. However, the larger part of the city is controlled by Ukies. With respect to Enakievo, Bezler’s Gorlovka militiamen are in control there. I was recently told that they’ve declared an open hunting season in those parts. - with respct to Shakhtersk. Prokhorov: Ukies are only on the outskirts of Shakhtersk. Militiamen have dispersed throughout the city. Skirmishes periodically occur in the area of the settlement of the 12th mine and in the 7th and 8th districts of the city. Prokhorov: Neither Donetsk nor Gorlovka have been cut off. Nothing of the sort. Ukies were kicked out of Popasnoye. By the way, sniper continue to work in Lisichansk to this day. With respect to Saur-Mogila, I was told that near Amvrosievka a Ukie column was discovered (totaling approximately 30 vehicles) – we are following its fate very closely. Near Dolzhanskiy, the 24th Lvov Brigade is in a state of panic – they are requesting to be de-blockaded. I will remind you - the units of the 24th, 28th, 72nd, and 51st mechanized brigades, of the 79th Aeromobile, of the 3rd spetsnaz regiment, and of the combined border guard detachment have been blocked inside the “intestine”. The routing of the Junta troops near Lugansk. Fresh video with the outcomes of yesterday’s battles. Photographs from the Southern Cauldron. 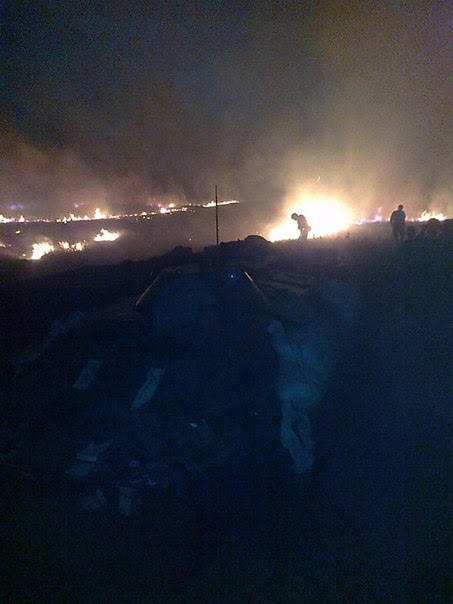 The ground is practically burning under the feet of the punitive forces. 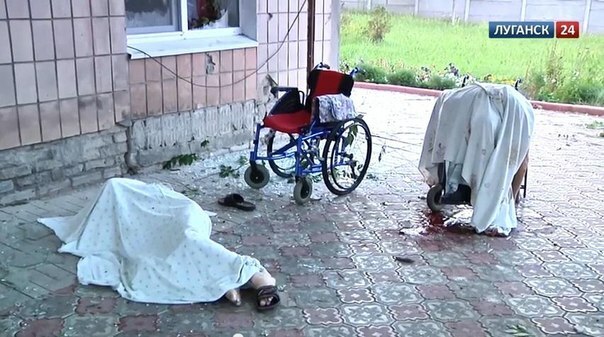 Five elderly died in a nursing home in Lugansk as a result of shelling by the Ukrainian army. Ukrainian saboteurs continue to conduct mortar strikes on Lugansk. This time, a hospital, a firehouse and a nursing home, where five elderly dies became their targets. In Shakhtersk, fierce battles continue, there is no information about losses yet. Near Saur-Mogila, all the attacks have been repelled; Ukies are sustaining fairly serious losses, and the Militia has entrenched itself well there. For now, we have news that a tank company and several armoured vehicles have been destroyed. With respect to the 79th Brigade: Ukies, you spend your time [in this forum], so let your guys know. In Nikolayev, they are now arresting the mothers of the guys in the 79th Brigade, who are serving their “motherland”. They were rather harshly dispersed, and a number of criminal investigations have been opened. So tell them to think who it is that they are fighting for. 23:05 (MSK) – Information from Seversk: bursts of automatic weapons’ fire can be heard coming from the side of Chernogorovka, and explosions – from the side of the third settlement. 23:15 (MSK) – Intensive artillery shelling of Yasinovatoye has begun; a number of shells hit a technical school. Fierce fighting near Yasinovatoye, which began about an hour ago, is continuing. Battles near Shakhtersk have resumed. And no, Torez has not been taken by Ukies. 23:33 (MSK) – In Novosvetrlovka there is harsh shelling; eyewitnesse report that residential dwellings have been hit. 00:00 (MSK) – A strike using Uragan MLRS was conducted from the side of Elenovka in the direction of the Donetsk railway terminal. 00:44 (MSK) – In Lisichansk, shots can be heard; there is a skirmish at a check point located at the exist from the city. 00:55 (MSK) – Howitzer artillery strikes are being conducted on Mandrykino and Yasinovatoye.